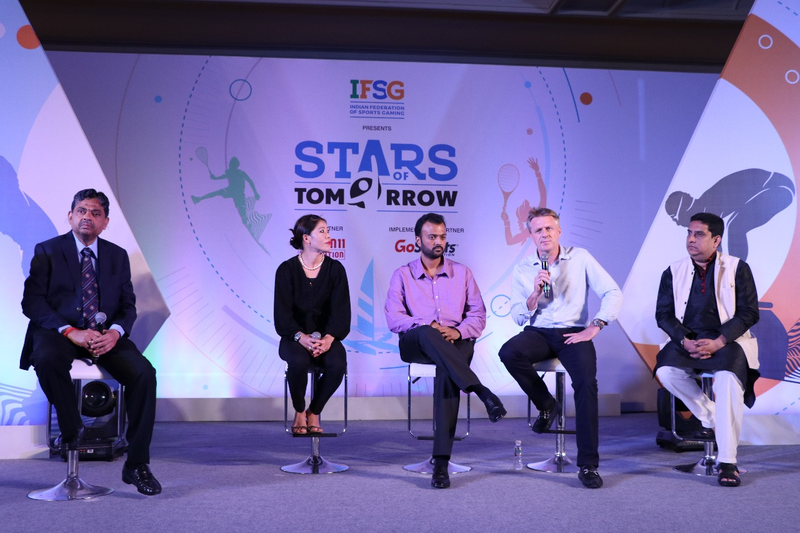 The Indian Federation of Sports Gaming (IFSG), India's first sports gaming industry body committed to protect consumer interests through self-regulation, today launched its athlete support programme 'Stars of Tomorrow' (SOT). The programme has been created with an aim to identify and support India’s future sporting talent in diverse set non-mainstream sports such as Sailing, Squash, Tennis, Swimming and Golf to name a few. Athletes selected under the programme will be offered critical support towards the fulfilment of their sporting goals. 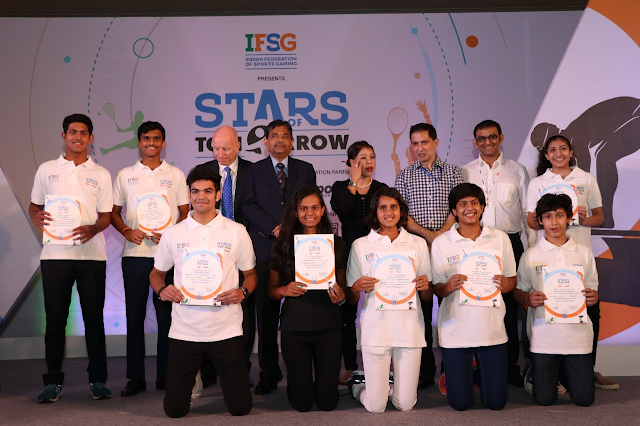 168 entries were received from across the country, and after a rigorous selection process led by GoSports, who are the ‘Implementation Partner’ of this initiative, 13 talented athletes have been selected to be a part of IFSG’s Stars of Tomorrow programme. Dream11 Foundation, the primary contributor to this programme, has pledged Rs.3 crores to support IFSG’s cause. At the event, Shri.Bhushan Gagrani, Principal Secretary - Chief Minister's Office, Govt. of Maharashtra, Mary Kom, 6-time World Amateur Boxing Champion and Padma Bhushan Awardee; Prof. Ratnakar Shetty, ex-Chief Administration Officer - BCCI & Advisor – IFSG; Boria Majumdar, Cricket Historian; Harsh Jain, Director - Dream11 Foundation; John Loffhagen, President, IFSG; Deepthi Bopaiah, Executive Director - GoSports Foundation and Anand Ramachandran, CEO & Co-Founder Fantain, felicitated the talented athletes. The event also witnessed industry stalwarts discuss and dialogue on ‘Is India on its way to becoming a Sporting Powerhouse?’ bringing to the fore key requirements as well as opportunities ahead to support the sporting talent in India. 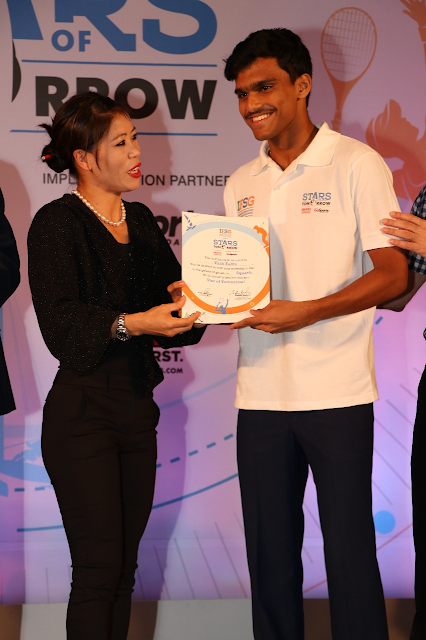 Commenting on the GoSports Foundation’s role as the implementation partner of SOT programme, Deepthi Bopaiah, Executive Director, GoSports Foundationsaid: "We are glad to be the implementation partner for IFSG’s Stars of Tomorrow programme which is a long-term athlete development initiative. We have selected athletes who have exhibited great performances and potential to excel and look forward to work with them on making a smooth transition to the senior level and represent India at the world stage."